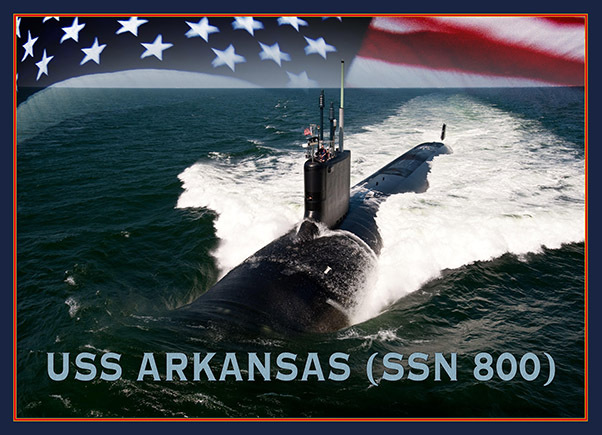 Secretary of the Navy Ray Mabus announced June 15, 2016, that SSN 800, a Virginia-class attack submarine, will bear the name USS Arkansas. The future USS Arkansas will be the fifth naval vessel to bear the name. The first was a screw steamer originally named Tonawanda that served in the American Civil War; the second, commissioned in 1902, was an Arkansas-class monitor with a single gun turret and was one of the last monitors of the U.S. Navy. The third Arkansas was one of two Wyoming-class battleships, commissioned in 1912. The last Arkansas, one of four Virginia-class nuclear-powered guided missile cruisers, commissioned in 1980 and decommissioned in 1998. The submarine will begin construction in 2018 and is expected to join the fleet in 2023. Virginia-class attack submarines provide the Navy with the capabilities required to maintain the nation’s undersea supremacy well into the 21st century. They have enhanced stealth, sophisticated surveillance capabilities and special warfare enhancements that will enable them to meet the Navy’s multi-mission requirements. These submarines have the capability to attack targets ashore with highly accurate Tomahawk cruise missiles and conduct covert, long-term surveillance of land areas, littoral waters or other sea-based forces. 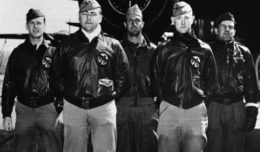 Other missions include anti-submarine and anti-ship warfare, mine delivery and minefield mapping. They are also designed for special forces delivery and support. Each Virginia-class submarine weighs 7,800 tons and is 377 feet in length, has a beam of 34 feet, and can operate at more than 25 knots submerged. They are designed with a reactor plant that will not require refueling during the planned life of the ship, reducing lifecycle costs while increasing underway time. The submarine will be built under a unique teaming agreement between General Dynamics Electric Boat (GDEB) and Newport News Shipbuilding, a division of Huntington Ingalls Industries, wherein both companies build certain portions of each submarine and then alternate deliveries. Arkansas will be delivered by NNS located in Newport News, Va.